Where do I start with this article. I know from feedback that I have influenced many people along my way through life. But who has influenced me? There are too many to mention in this short article but I feel three people have been key to my success and have been an inspiration to me. Karl Lenk, Sperry Rand/UNIVAC. Yes, I worked for UNIVAC, the original computer vendor. These old mainframes were ASCII machines. I’ve always wanted one of the memory cards: a card with 7 vacuum tubes in a neat row…I believe the first one (bit 0) was for parity. Sperry was my first vendor job, a type of position I was inspired to seek based on a friend who used to fix the keypunch machines. Karl hired me because I knew COBOL and he needed applications people to help sell the UNIX platforms, mostly relabeled NCR boxes. The Internet changed things a bit, as you used to be able to tell how many devices a UNIX box could handle by counting the RS232 ports on the back! Yes, I learned Mapper. You didn’t work for Sperry and not learn Mapper. I used this language off and on over the next decade and even wrote conversion routines to convert it and its applications to Oracle. A fellow employee named Fred Dryg was asked to go out for training on the new database software that ran on these boxes called Oracle. He didn’t want to go but recommended me. He said: “Why don’t you send Hotka…he always wants to learn something new”. Karl’s ‘outside the box’ thinking influenced me and my career greatly. He was the first of several great supervisors and he saw great potential in me and he encouraged me to take the Oracle training. I was in line to get the UNIX training but was also introduced to Oracle v4.1. Karl laid out my training routine. The training center was near O’Hare airport in Chicago, a five hour drive (I lived in Des Moines, Iowa at the time). I could stay with friends; I could drive to the class. I saw incredible value in these classes. I worked a no-expense deal with Karl…for every class he wanted me to go to, I could pick another…at no travel expense to him for either one. He thought this was a fantastic deal as travel costs were the most expensive part of training to his budget. He had never had one be inspired to offer such a deal. I took all of the Oracle training offered at the time (Oracle Cop wasn’t doing training yet. )…I think it was three classes back then: Intro to SQL, something about building apps with Oracle (fast forms that became SQL*Forms and RPT, the first report writer…and SQL*Plus that was called UFI for User Friendly Interface), and an Oracle Admin class. I attended these along with advanced UNIX classes, UNIX programming classes, and UNIX internals. I attended 12 classes in my 2.5 years with Sperry. I would return to the office and train others on what I had learned. I’ve been involved with training pretty much my whole IT career. I would have to give Karl the top Dan ‘influencer’ as he allowed me to take the Oracle courses, which became the basis of my entire IT career, and to become the office Oracle expert, at a time when they were pushing Mapper on every platform. Hats off to Karl Lenk for seeing outside the box and working with me on this valuable training. My Oracle career started with Karl. 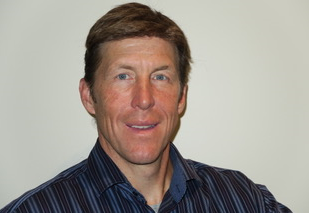 Meet Brad Brown: Principal Partner of TUSC Consulting, based in Denver, good friend, and heck of a nice guy. After the TUSC company was sold to Rolta, Brad has gone on to start several more successful companies, mostly in the Denver area. I met Brad on the speaking circuit. I started several user groups over the years, including the TCOUG (Twin Cities OUG) in 1987! This was a time period where Oracle was rapidly growing in popularity and regional and local user groups were growing just as fast in popularity. I know all of the partners of TUSC: Joe Tresso, Rich Niemiec (another popular speaker), and Brad Brown. Brad has been a good friend and a good career mentor thru the years. I’ve turned to Brad for industry trends, knowledge in his area of expertise, speaking tips, along with his knowledge of the Oracle world in general. Brad sponsored me in the Oracle ACE Program and helped get me to the Director level, which came with many additional perks. Brad helped me stay focused when I first started my training/self-employment business in 2002. He helped me with marketing ideas, pricing, and had reviewed my business model more than once. His knowledge and encouragement influenced me to try self-employment. He was there to help keep me focused and motivated to continue down the small-business path. His help was a huge inspiration to me and my training practice. I like to think Brad’s input greatly influenced not only my small business but me in general. He inspires and influences me yet today. Thank you Brad for your assistance and friendship. 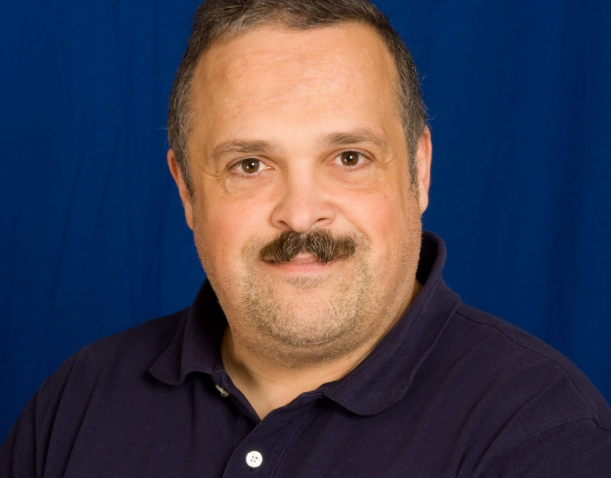 Meet Bert Scalzo: computer/software genius (guru) and also a good friend. He knows more about all of the relational databases and UNIX/Windows than anyone I’ve ever met! He can cite syntax off the top of his head to solve issues I have encountered. Bert does have his PhD in computer sciences and is an all around nice guy. Bert and I were also on the speaking circuit together and we would share tips and techniques about various aspects of the Oracle RDBMS. It bolstered my confidence when Bert mentioned he would sit in on my presentations and what he had learned from me. …I always thought Bert knew all there was to know about Oracle! When I started my self-employment training business in 2002, Bert was a key component on assisting me with the setup of my computer lab and the networking of this computer lab. I know Oracle extremely well but I didn’t really know that much about getting computers to communicate with one another. As with Brad, I would discuss business avenues with Bert as well, seeking his input and knowledge on what I was attempting to do. When it was time to upgrade the lab environment in 2010 (or so), again, Bert was essential with his knowledge of VMware, and helped setup the images I used to run my classes. Using VMware images solved a ton of issues for me and made setting up a computer training environment at the client site a snap. Bert’s technical knowledge inspired me to learn what I didn’t know. His assistance influenced my presentations and training practices greatly. Thank you Bert! Your expertise and business savvy have made my business go the distance. This is just a short list. I have worked with many quality individuals through the years who have influenced me in one way or another. I know I have also influenced many over my life including the business world, those I consider friends, people I have met, and family. These three people went out of their way to assist me with my career and personal growth. Their different and unique qualities influenced me to be a better person, a better presenter, and a better computer technician. In my world, if I didn’t know the answer, I turned to those who did know the answer. To me, it is almost more important to know where to find the answer than to know the answer. It’s not necessarily what you know as long as you know where to go when you need it. So, utilize those around you and ask for what you need from those who know. Be sure to thank those who have been of assistance, amazing how this simple task impresses people.